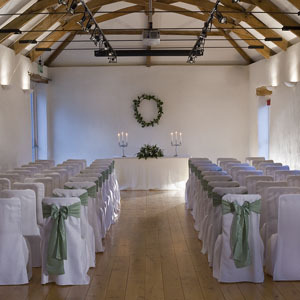 Rill is a beautifully restored 80 acre dairy farm nestling in the Dart valley, providing a fully licensed wedding venue that combines a stunning setting with adaptable space. 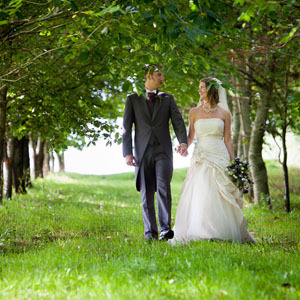 If you book Rill you will have exclusive use of the facilities & grounds to use as you wish, including wedding night accommodation for your guests. 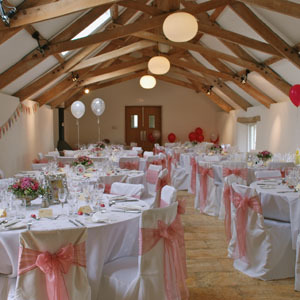 For the Venue Hire option, you select from one of our recommended caterers who will help you arrange your entire day. The Traditional Wedding package takes away all your worries as we arrange the whole day for you. We can take away all your worries and arrange the whole event for you. For a charge of £150 per head we provide exclusive venue hire, a three course Wedding Breakfast, Reception drinks, wine with the meal and a glass of champagne for the toast. We can also provide Canapes for your drinks reception and a wide variety of Evening Food for your guests at an additional cost. ***Please Note*** Sorry, we are taking a break from weddings just now. Apologies. If you are looking for a venue that allows you to create your own original style of wedding, Rill can be hired simply as a 'Venue Only". 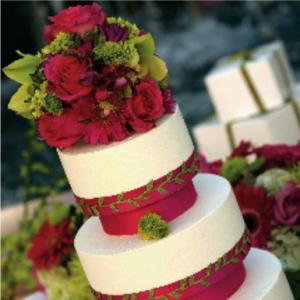 You can select your own caterer from our recommended list and bring your ideas to life. They will help you source the place settings & furniture you require alongside a delicious wedding breakfast or menu plan of your choice. The cost of the venue hire is £4000 (some furniture is included). There is a corkage charge of £5 for wine, £7 for sparkling wine/cider & £10 for champagne. Corkage charge for any other drinks (ale, cider etc) can be discussed. The hire includes time for setting up on the afternoon before your wedding, hire on the day itself, until 11.30am the day after when all decorations must be down and the venue returned to its original state. Rill Estate is a fully licensed venue, so we are able to help you host your entire day on site. The charge for holding your ceremony at Rill is £350. You will need to arrange the booking with the Registrar yourself and there will be a charge incurred for this. We recommend you book your service no earlier than 2pm if possible. It is wonderful to have your friends and family staying on site for your wedding celebrations and so we are delighted to be able to offer this facility for you. We have 19 bedrooms of various sizes sleeping up to 36 guests. 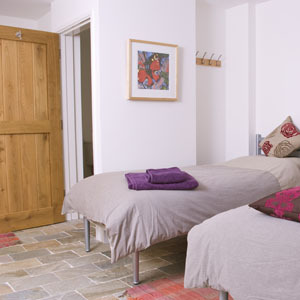 We ask that wedding parties take 22 of these beds as a minimum and the charge is £50 per person including breakfast. Our recommended caterers are listed below. If you choose the Venue Hire option for your wedding you must use one of these suppliers for all your catering requirements.